I heard the pitch on the Brent Axe show driving home from my job at the library and brought it up to my dear wife Karen. 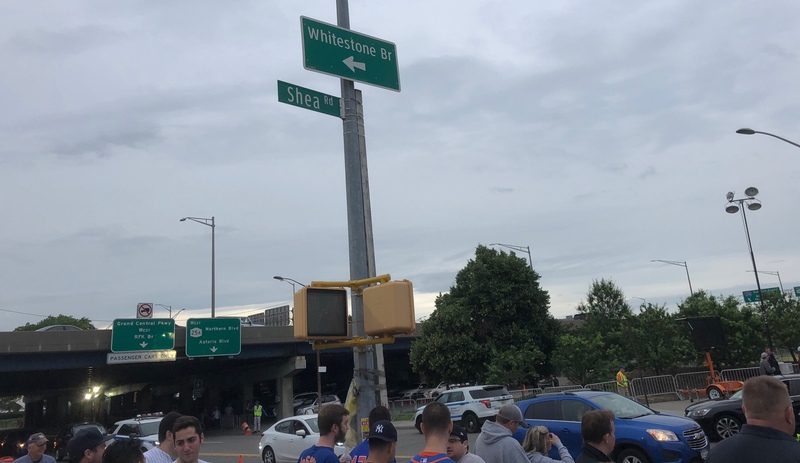 The local ESPN affiliate had put together a bus trip from its station lot in Syracuse’s Armory Square to Citi Field in Flushing. Not just for any New York Mets game, mind you. This journey would be to see a Subway Series game. Mets vs. Yankees. Karen got online and secured our two tickets. We got there plenty before the noon departure time for the 8 p.m. Sunday game. Yes, this one would be on ESPN. 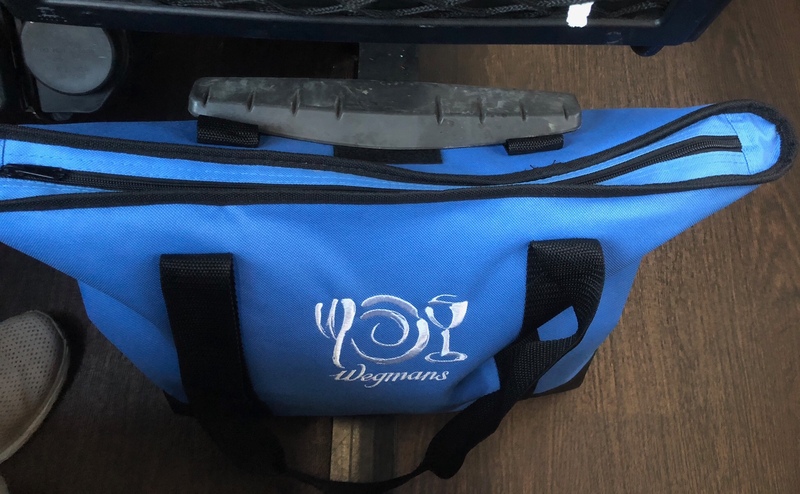 We packed our Wegmans cooler bag with some beverages, some snacks, stuff to get us through five-plus hours on the road. Hover over a photo for a description. Click on an image for an enlarged slide show. 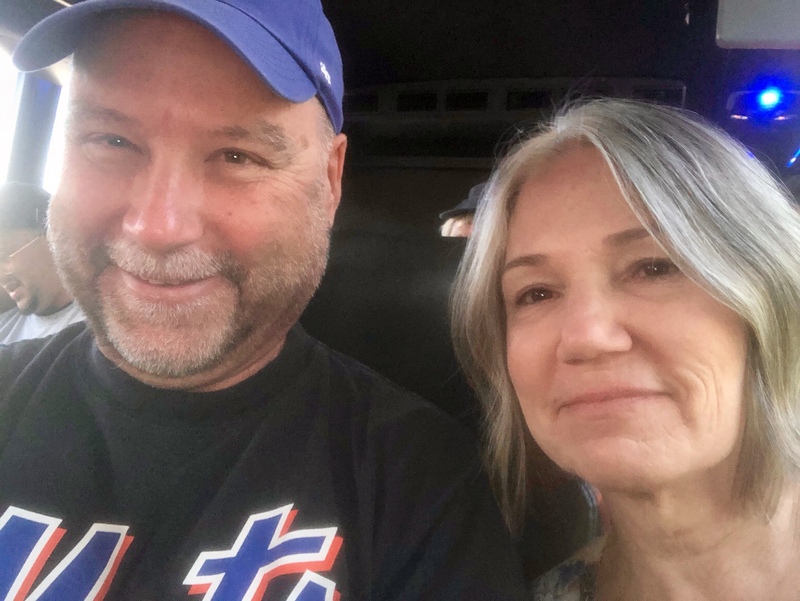 After we pulled out and onto the New York State Thruway, our radio station hosts walked down the aisle with the special advertised treat: pizza from Syracuse joint Cam’s. Cheese or pepperoni were our choices. The driver and Frank’s Franks tour operator cranked the AC. I had left my jacket at home. My bad. In my shorts and Mets throwback Carlos Delgado short-sleeved T, I definitely got chilly. I shouted a request to turn down the AC to make it a little warmer, and the complied. Still, it was cool. When we pulled into a Thruway rest stop, I purchased a throw blanket, and that kept me warm the rest of the trip. Karen, smart dear wife that she is, wore her jacket and jeans with a smile. Yeah, the bus, big and comfortably appointed as the seating was, did not have a bathroom. And we only made that one stop. Many of the passengers were drinking beer. That made the final hour or so, including stop-and-go traffic at the George Washington Bridge, and interesting proposition. Buses get nice treatment around the stadium, including wave-ins to their own lot. I made sure to take photos with my iPhone 8 to make sure I knew the path of return after the game. We were told we had 30 minutes to get back before departure. 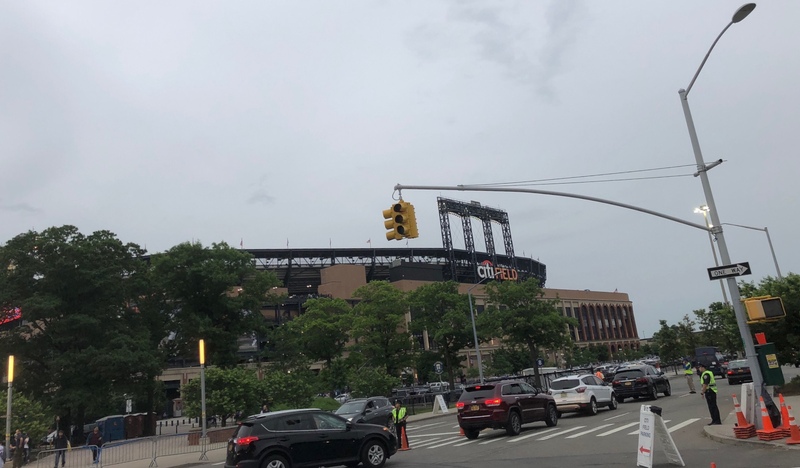 Let’s Go to the Mets’ Stadium! Since my days as a kid spotting Shea Stadium in the distance, the sight of my Mets’ stadium makes me happy. this sounds so fun, an adventure that is right up my alley. glad you survived the arctic air and limited bathroom stops, but you never know what you’ll get in an adventure! Especially when you leave your light jacket on the dresser in the special don’t-forget-it spot, Beth. Ha! Yes, it was a great trip. Sounds like a good trip. And hey, the Mets won! I too remember seeing Shea as a kid, always made me feel good, but they really did a great job designing Citi Field. It is just about perfect. 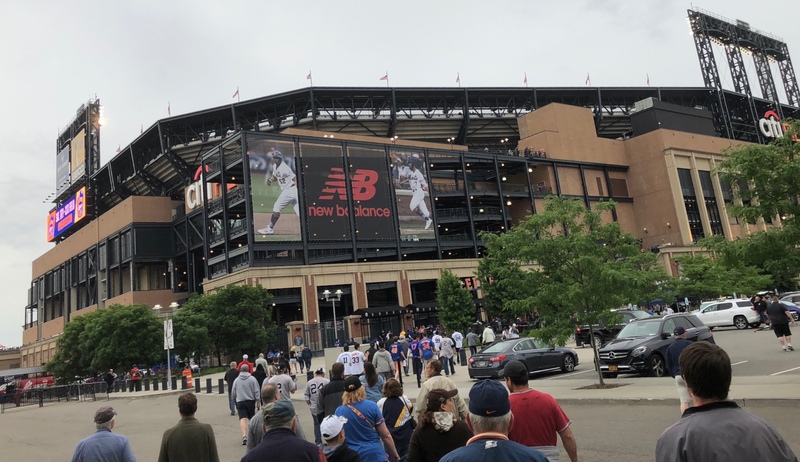 Citi Field is a step up from Shea. There, Mike, I said it. Looking forward to more tomorrow! You look SO very happy!! !